The students at Big Tancook Elementary have been learning about the Seven Sacred Teachings (also known as the Seven Grandfather Teachings) of the First Nations people. Each teaching honours a virtue that is intrinsic to living a full and healthy life. The teachings are: Love, Respect, Humility, Courage, Honesty, Wisdom, Truth. The children were involved in each step of the process in creating these tie-dyed flags that will greet you as you walk up School Road towards the Rec Centre. Our school is in dire need of a fresh coat of paint. Please come help on the weekend of Oct 20 & 21. We will have all the supplies available. Representatives from the South Shore Regional Centre for Education traveled to Big Tancook Island on Wednesday August 29 and met with some of the parents and students ahead of the school year. We had a great time and were even lucky enough to get an island tour; thank you to all for your hospitality. Everyone is getting excited for school to start next week! Big Tancook Elementary also has a new website which will be administered by the new Teaching Principal Ellen Smith. The South Shore Regional Centre for Education is seeking a full time Teacher Assistant for the upcoming school year for Big Tancook School. To see the posting, click on http://www.ssrce.ca/job-search/ and then click on the “search” button. On Friday, we had a special visit from Krista who arrived with heart rocks for all of us. After painting them, the children sat in a circle outside, joined hands and enjoyed listening to “Love Lifts Us Up Where We Belong.” Thank you Krista! As the school year winds to a close, we are enjoying the kind of activities one associates with the end of a school year. We spent the day today with the grade 5/6 class from Shatford Memorial Elementary in Hubbards. Eight adult chaperones and 21 students slept in the school for two nights and ate their meals together in the Rec Centre. The students asked their teacher why they could not stay for a week! This morning we had a wonderful presentation about lobstering from Katie and David Baker. This hands-on learning experience was a highlight of the day for all of us. After exploring Fossil Beach to collect sea glass and driftwood, the children all made sun-catchers as souvenirs of the visit. A visit to Wishing Stones Gallery ended a perfect day. Katie and David explain the lobstering process. An amazing hands-on learning experience. It was fun to work with new friends. To get to the ferry, these students bicycled 27 km on Rails to Trails (in drizzle and rain). A good way to end a sunny June Day – ice cream treats courtesy of Lee. 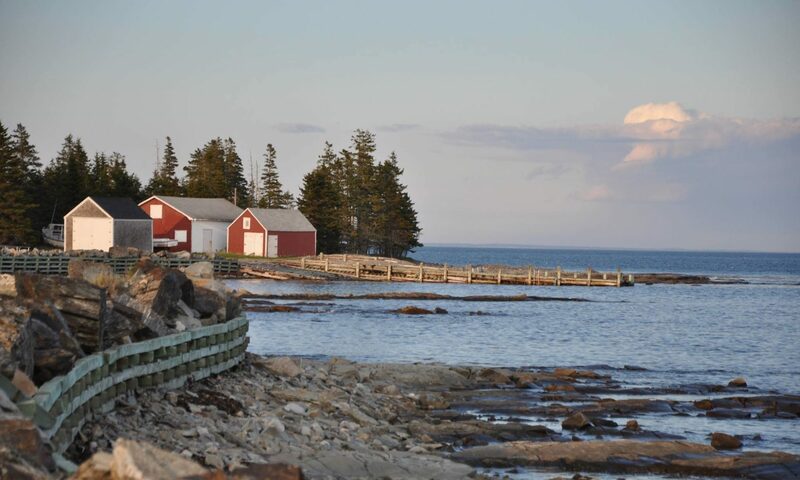 Having a resident bird watching expert – Hillary Dionne – on the island means that local children will grow up with a love and knowledge of birds that live on and/or visit Big Tancook Island. At the regional Heritage Fair on Friday, May 4, 2018, William won the judges’ selection award. His prize – a $30 visa card He was also 1 of 4 selected to create a video about his project. William now has a chance to go to Ottawa in the fall! Could that be sauerkraut William is holding? This week the children heard stories about youth doing amazing things to make a positive difference in the world. Our BTES students made their own Superhero Kids and came up with ways in which they would make the world a better place. Math was made easier this week with help from neighbour, Ward Carson. It helps to have an accountant living next door to the school. Isaac made us proud with his regional science fair project on wind vs solar energy. Everyone is welcome to attend the Big Tancook Elementary holiday concert on Thursday, December 14 at 2 pm in the Rec Centre.